Experience the life-changing impact of the outback as you camp in the wilderness and learn about ancient Aboriginal culture. Absorb the beauty and wisdom of sites such as Uluru and Kakadu National Park, witness an opal cutting at Cooper Pedy and lose yourself among sandstone cliffs and natural rock pools at Kings Canyon. Depart school Travel via Ballarat, Ararat, Murray Bridge through to Adelaide. Arrive in Coober Pedy Famous for its opals and underground population. Enjoy a tour of the town and witness an opal cutting and polishing demonstration. Later visit an underground home and mine. Overnight camping Set up for a night of camping under the stars! Travel through the outback and pass by Australia’s large cattle stations. Optional Activity - Aboriginal Dreamtime & Bushtucker Tour Learn about real Aboriginal culture in it's natural Australian setting. Be introduced to topics such as Dreamtime and spiritual beliefs, bush survival, and the marriage and social system. Sample a witchetty grub or some Kangaroo tail as you learn about bushtucker, hunting and weaponry. There’s also a rare opportunity to meet and interact firsthand with traditional people from the Walpiri tribe. Alice Springs Desert Park Take a self-guided tour of the park, afterwards watch the Birds of Prey show. Western Macdonnell Ranges Tour parts of the ranges and take in the sights of the Simpson’s Gap and Standley Chasm. Royal Flying Doctors Base and School of Air Take a guided tour of these two iconic locations. Evening Activities Enjoy sunset at Anzac Hill Lookout before returning to camp for dinner. Watarrka En route to Watarrka, enjoy a camel ride before you make the trek to Mt Ebenezer. Afternoon activities After setting up camp at Kings Creek Station, spend an afternoon at leisure. Enjoy a swim, or take part in option activities such as helicopter rides or quad biking! Watarrka National Park Head to the national park where you can explore Kings Canyon, the Garden of Eden and the Lost City. With spectacular sandstone cliffs, natural rock pools and lush vegetation it's natural beauty at its finest. 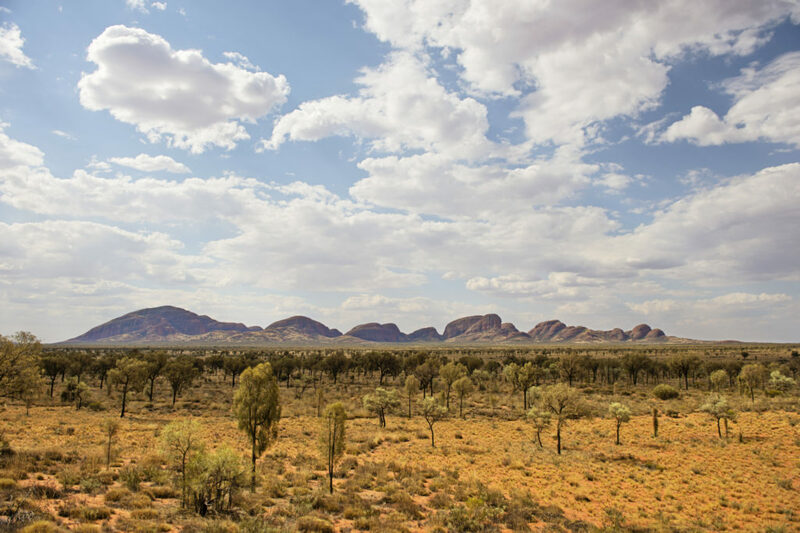 Optional Activity - Cultural Immersion Tour Head to the Lilla Community (10kms from Watarrka). Here students can participate in a 4 hour Immersion Tour, where they learn about the Indigenous community. Journey to Uluru Make your way to Uluru and set up your overnight camp. Afterwards visit the Cultural Centre for a self guided visit. Dinner Witness the amazing sunset over "the Rock" from the Sunset Strip before heading to dinner. On the move After breakfast, say your goodbyes to the territory as you begin your travel south. Retrace your steps via Marla before arriving in Coober Pedy. Overnight camping Experience camping like a true Coober Pedy local with an overnight camp experience underground at the Umoona Opal Mine. On the move Continue your journey home travelling through Glendambo and Port Augusta.. Thank you for your interest in our WorldStrides Central Australia Tour! Please tell us a little more about yourself so we can get you sent to the right place.